Angeles City Seminar - Nov 22, 2009 - Gateway to Canada | Canada Immigration Consultancy! I'll be conducting another seminar in Angeles City this coming November for those who want to live and work in Canada. If you are interested to learn your options on how to live and work in Canada, make a reservation now! It is now easier and faster to apply! If you are eligible, all you need to do is decide to apply and make a commitment to that decision! 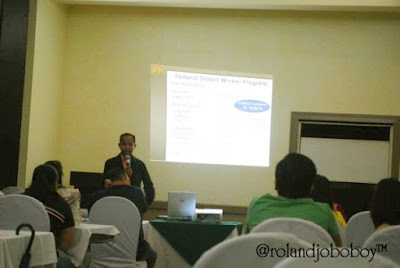 Some of those who attended my seminar few months ago now have positive assessment from Centralized Intake Office (CIO). They are now in the process of completing their documents for submission to Canadian Visa Office in Manila. Another one is now in the medical examination stage. You, too, can be one of them. Find out how! Reserve a seat now!